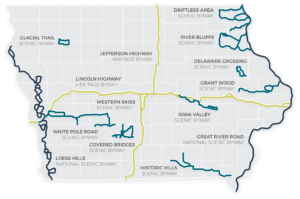 The Byways of Iowa Foundation is a 501(c)(3) non-profit organization with a mission to protect, enhance and promote cultural, natural and scenic resources along Iowa’s byways, fostering authentic experiences with byway partners and communities to increase visitor-related economic development. 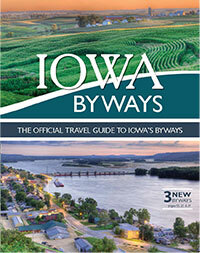 Our website address is: https://bywaysofiowa.org. If you become a member and fill out the membership form, you are providing that information to us so that we may involve you in the organization and it’s mission. Articles on this site may include embedded content (e.g. videos, images, articles, forms, etc.). Embedded content from other websites behaves in the exact same way as if the visitor has visited the other website.